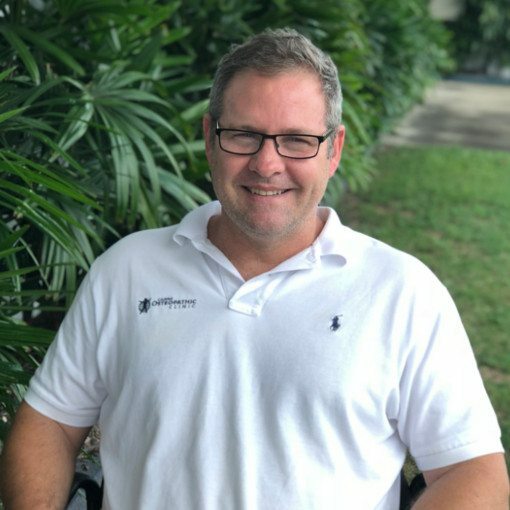 Dr. Philip Nolan (Osteopath) has a Bachelor of Applied Science (clinical) and a Bachelor of Osteopathy from the Royal Melbourne Institute of Technology. Through his training, injuries and questioning what works Phil has developed an acute understanding and fascination of the human body and of injury management and prevention. Osteopathy and Osteopathic treatment are effectively used to treat general medical conditions such as headaches, back pain, neck pain, osteoarthritis, joint restrictions, muscle spasm, period pain, rotator cuff injuries, restricted joint range of motion, shortened tissue state, scoliosis and general alignment. Sports injuries such as sprains and strains, muscle tears, pelvic imbalance and postural correction. Osteopathic Treatment is safe for everyone including athletes, ladies in pregnancy, children, office workers, the elderly and the general public. There are primary headaches such as Tension headaches, Migraine headaches andCluster headaches to name a few. This probably explains why there is no “one ” treatment for all headaches. Our practitioners recognisethis and therefore not only address the primary area of injury but also the secondary areas that set up in the body that can result in pain and abnormal function. During pregnancy your body undergoes a great amount of change and development to accommodate a growing foetus. The postural changes and increase in weight are obvious, but other changes may be more subtle like the effects of hormonal softening of ligaments and the position of the growing baby. So, Where Does Osteopathy Fit In During Pregnancy? The philosophy of Osteopathy is that structure and function are interrelated. Our treatments aim to improve the structure so that it functions as efficiently as possible and therefore promotes Homeostasis (the natural healing ability of the body). We aim to assist the natural process of pregnancy and birth by aiding the body to adapt and align as the pregnancy progresses. Osteopathic treatment achieves this by using safe and efficient techniques, while making sure the mother is comfortable at all times. During birth, a range of factors influences the descent of the baby through the pelvis. The mother’s pelvis may be twisted or rigid which can interfere with the baby’s passage through the birth canal. Osteopathic treatment can help to align your body so that your pelvis and lower back mechanics are in the best possible position they can be and with as little tension or restriction as possible. Osteopathic treatment will maximise your body’s ability to change and support you and your baby with minimum pain and discomfort.